Pizza Seattle: What's your favorite? One of our favorite things to do is to eat at new places and find those good restaurants. Seattle is great for that because there are all different types of food in and around the city. There are exotic food restaurants, coffee shops, burger joints, and of course the old staple: pizza. So is there anything different about the pizza in Seattle? Well, I'll be honest. I haven't been to too many pizza places yet (I'm don't count all the national chain type places). However, I have been to one of Seattle's most well-known pizza places: Pagliacci Pizza. When I first came to Seattle, my wife (who had grown up in the city), gushed about how much she loved Pagliacci. She said that when she was young, she would go there all the time with her friends and so she wanted to take me there. So on our second day in the city, she took me to the Pagliacci Pizza on Capital Hill. I have to say that it was pretty good. It wasn't your normal Pizza Hut pizza but it tasted so much more rich and there were some great types of pizza to choose from like the Chicken Primo, the South Philly, and of course the Salumi's Spicy Pepperoni. What I liked almost as much as the pizza itself, though was the atmosphere. The joint (especially the one on Capitol Hill) seems to have so much character, and they even open up their restaurant once a month to support local artists, such as comedy acts. I think that's really important for local-area restaurants and it's great to see them do that. In addition to pizza, Pagliacci Pizza Seattle has other food like calzones, salads, and pie, and while I've heard that they are good as well, I've never dared venture away from their pizza. They even sell pizza by the slice (which seems to change every so often) which is great for a stop in for lunch. 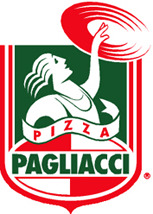 Pagliacci Pizza Seattle is also well-known for it's delivery service. We've had good experience with their delivery drivers, and I've heard from more than one person that they delivery person went the extra mile to provide excellent service. Nothing makes you want to keep patronizing a place like good customer service, so in that regards, Pagliacci is doing a great job. One thing that I've noticed the past couple of years, though, is that there are Pagliacci restaurants popping up all over the place. As my wife and I drive around the area, we keep noticing new ones and I'm not sure that more restaurants is the best idea for this pizza chain. Most of these new places don't have the same character that the Pagliacci has on Capitol Hill and I wonder if they'll really be able to stay in business. However, I think that one of their main selling areas is their delivery service, so maybe that's what they're concentrating on with these new establishments. I would say that if you're in town for a couple of days and your kids feel like pizza, don't go for the same old pizza that you could get at home. Pay a little extra and try a Pagliacci pizza. And if you don't want to do delivery back at your hotel room, I would recommend the Pagliacci Pizza Seattle on Capitol Hill.